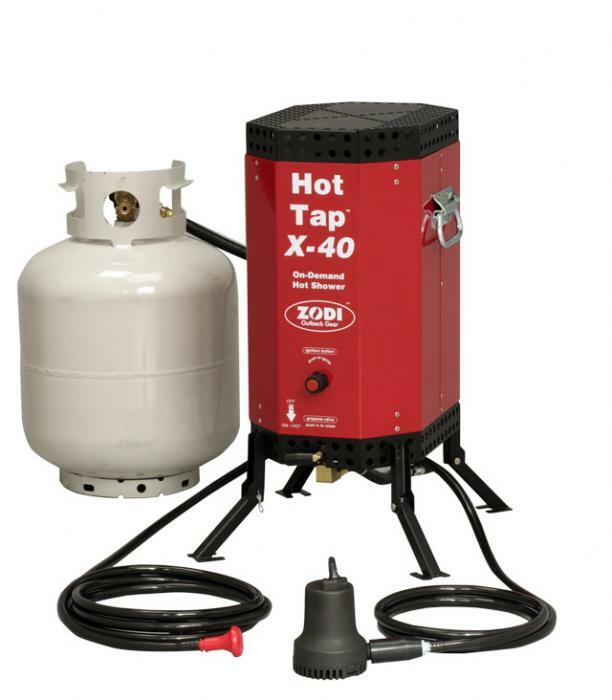 The Zodi Hot Tap X-40 is a very high output, instant water heater and hot shower, delivering up to 50 hours of continuous hot water between propane refills. 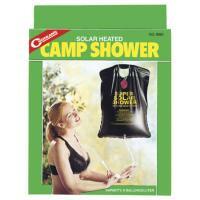 Designed for professional outfitters, base camps, cabins, and horse trailers. 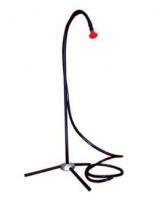 This shower is constructed of rugged steel for extra durability. The 16 ft long hose allows use all over camp from the kitchen area for the dishes to the shower area without moving the heater. 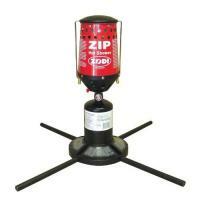 Electronic ignition (requires AA batteries) for "instant on" convenience. 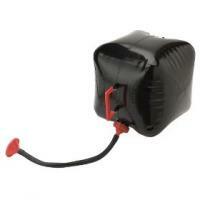 Legs retract for compact storage in tough storage gear bag. Rugged steel handles for easy transport. 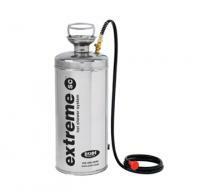 The toughest portable water heater available anywhere. So tough its even in use in the Antarctic. This is a very powerful heater. I have connected it to the main water supply as the pump supplied is only ok for my use. I have upgraded hoses so they do not link. It is very good and I would recommend it!